On the heels of blockbuster ratings for the post-Super Bowl episode Sunday night, Twentieth Century Fox Television and “Glee” co-creator Ryan Murphy are pleased to announce that the critically acclaimed “Glee Live! In Concert!,” starring 13 members of the television show’s cast, will return to North American concert stages this spring. 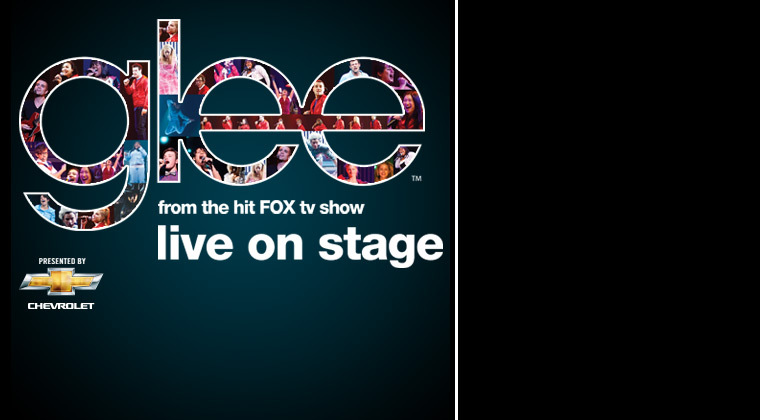 Beginning Friday, May 21 at the Mandalay Bay Event Center in Las Vegas, “Glee” stars Lea Michele (Rachel), Cory Monteith (Finn), Amber Riley (Mercedes), Chris Colfer (Kurt), Kevin McHale (Artie), Jenna Ushkowitz (Tina), Mark Salling (Puck), Dianna Agron (Quinn), Naya Rivera (Santana), Heather Morris (Brittany), Harry Shum, Jr. (Mike), Chord Overstreet (Sam) and Darren Criss (Blaine) will perform in an all-new singing and dancing celebration of the Emmy and Golden Globe Award-winning show. Select tickets will be available to American Express cardholders in an exclusive presale beginning Friday, Feb. 11; tickets go on sale to the general public for most cities on Saturday, Feb. 19 at 10:00 a.m. (Tickets for the Boston concert go on sale Friday, Feb. 18 at 10:00 a.m.; Toronto goes on sale Friday, Feb. 18 at noon and Sacramento Saturday, Feb. 19 at noon.) Tickets will be available via www.ticketmaster.com or by phone at (800) 745-3000 or at any Ticketmaster Outlet. Tickets will be available at the arena box offices as well. “Glee Live! In Concert!” has also teamed with I Love All Access to provide a variety of fan ticket packages for the show, including premium seats, parties and more. For more information, please visit “Glee” at www.gleetour.com. “Glee” airs Tuesdays at 8/7c on FOX. In its sophomore season, “Glee” is a biting musical comedy that has quickly become a pop-culture phenomenon. This season’s No. 1 entertainment series among Teens and a Top 3 series among Adults 18-49 and 18-34 boasts critical acclaim, a loyal fan base of “Gleeks,” two Platinum and two Gold albums, two Grammy Award nominations, more than 16 million song downloads, the record for the most titles on the Billboard Hot 100 by a non-solo act (beating out The Beatles), the No. 1 soundtrack of 2010 (“The Christmas Album”), an incredible 19 Emmy and 11 Golden Globe nominations – earning it the distinction of being the most-nominated series of the year – and four Emmy Awards. To top it off, the genre-defying, award-winning series has been picked up through its third season. “Glee” is produced by Ryan Murphy Television in association with 20th Century Fox Television. Ryan Murphy, Brad Falchuk and Ian Brennan are co-creators of the series. Murphy, Falchuk, Brennan and Dante Di Loreto serve as executive producers. Become a fan of “Glee” on Facebook at www.facebook.com/glee and follow the series on Twitter atwww.twitter.com/gleeonfox.